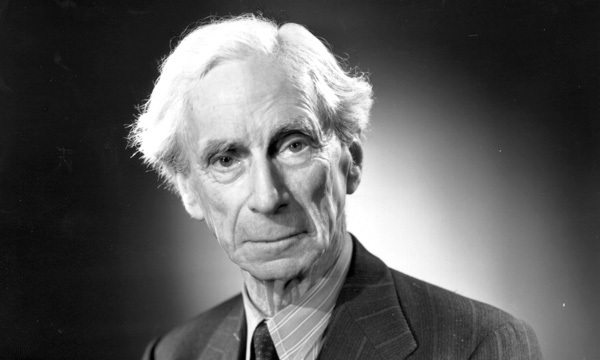 Bertrand Arthur William Russell, 3rd Earl Russell, OM, FRS shines timeless wisdom and remarkably timely insight on the deep-seated demons of human nature that keep us small and unhappy, and offers sage assurance for transcending them by bringing greater awareness to our own perilous pathologies. Rather than only statisticians or computer scientists having access to the kinds of technologies that help us truly understand our customers, employees, and operations, Watson Analytics is making it possible for people in every department – whether finance, HR, marketing, or operations – to type in questions such as, “What are the key drivers of my product sales?” or, Â “Which deals are the most likely to close?” and get the answers they need. In other words, we’ll be using a service that works by typing in questions the way we would ask another colleague or ourselves. Because some of Watson Analytics’ most important innovations are the ones we all need to get our jobs done. Watson Analytics makes sense of raw feeds of data, without us needing to be a computer scientist. It ranks results based on how statistically “interesting” they are, making suggestions for how we could best tackle a problem. It uses predictive analytics to pull up facts or patterns we might have ignored. It fine tunes answers based on past questions, helping spark new questions. To learn more, visit ibm.com/watsonanalytics or join the conversation at Â #NewWayToWork. Editor’s note: Founded in 1945 by University of Chicago scientists who had helped develop the first atomic weapons in the Manhattan Project, the Bulletin of the Atomic Scientists created the Doomsday Clock two years later, using the imagery of apocalypse (midnight) and the contemporary idiom of nuclear explosion (countdown to zero) to convey threats to humanity and the planet. The decision to move (or to leave in place) the minute hand of the Doomsday Clock is made every year by the Bulletin’s Science and Security Board in consultation with its Board of Sponsors, which includes 17 Nobel laureates. The Clock has become a universally recognized indicator of the world’s vulnerability to catastrophe from nuclear weapons, climate change, and new technologies emerging in other domains. In 2015, unchecked climate change, global nuclear weapons modernizations, and outsized nuclear weapons arsenals pose extraordinary and undeniable threats to the continued existence of humanity, and world leaders have failed to act with the speed or on the scale required to protect citizens from potential catastrophe. These failures of political leadership endanger every person on Earth. In 1984, as the United States began a major defense build-up that included the pursuit of a potentially destabilizing ballistic missile defense system, relations between the United States and the Soviet Union reached an icy nadir. “Every channel of communications has been constricted or shut down; every form of contact has been attenuated or cut off. And arms control negotiations have been reduced to a species of propaganda,” the Bulletin wrote then, in explaining why the hands of the Doomsday Clock had been moved to three minutes to midnight, the closest they had been to catastrophe since the early days of above-ground hydrogen bomb testing. Today, more than 25 years after the end of the Cold War, the members of the Bulletin of the Atomic Scientists Science and Security Board have looked closely at the world situation and found it highly threatening to humanity–so threatening that the hands of the Doomsday Clock must once again be set at three minutes to midnight, two minutes closer to catastrophe than in 2014. Despite some modestly positive developments in the climate change arena in the past year, reflecting continued advancement of renewable energy technologies, current efforts are entirely insufficient to prevent a catastrophic warming of Earth. Absent a dramatic course correction, the countries of the world will have emitted enough carbon dioxide and other greenhouse gases by the end of this century to profoundly transform Earth’s climate, harming millions upon millions of people and threatening many key ecological systems on which civilization relies. At the same time, efforts to reduce world nuclear arsenals have stalled. The disarmament process has ground to a halt, with the United States and Russia embarking on massive programs to modernize their nuclear triads–thereby undermining existing nuclear weapons treaties–and other nuclear weapons holders joining in this expensive and extremely dangerous modernization craze. The science is clear: Insufficient action to slash worldwide emissions of greenhouse gases can produce global climatic catastrophe. Even a so-called “limited” nuclear weapons exchange will produce massive casualties and severe effects on the global environment. We implore the political leaders of the world to take coordinated, quick action to drastically reduce global emissions of heat-trapping gases, especially carbon dioxide, and shrink nuclear weapons arsenals. We also implore the citizens of the world to demand action from their leaders. The threat looms over all of humanity. Humanity needs to respond now, while there is still time. A climate catastrophe looms–but is not inevitable.Â According to US government environmental scientists, 2014 was the hottest year in 134 years of record keeping. Nine of the 10 warmest years on record have all occurred since 2000. This pattern is deeply disconcerting. In November 2014, the Intergovernmental Panel on Climate Change (IPCC) released its Synthesis Report encapsulating the key findings of its just-completed multivolume assessment of climate change. The IPCC reported that global warming is unequivocal and unprecedented and already responsible for widespread damage. It warned that warming–if unchecked by urgent and concerted global efforts to greatly reduce greenhouse gas emissions–would reach 3 to 8 degrees Celsius (about 5.5 to 14.5 degrees Fahrenheit) by the end of the century. This may seem like a modest rise in the average global temperature. After all, people at a given location often experience much greater temperature swings in the course of a single day. But that is a local variation, not a change in the average temperature of the surface of the entire planet. A similarly “modest” global average warming of 3 to 8 degrees Celsius brought Earth out of the frigid depths of the last ice age, utterly transforming the surface of the planet and in the process making it hospitable to the development of human civilization. To risk a further warming of this same magnitude is to risk the possibility of an equally profound transformation of Earth’s surface–only this time the planet’s hospitality to humanity can by no means be taken for granted. It is no comfort that Kerry was merely echoing warnings from the 1992 Earth Summit. In the more than two decades since then, human society has shown alarmingly little commitment to curbing greenhouse gas emissions. While efforts to transition to low-emission sources of energy have yielded some encouraging results, the net effect has been far too small, when compared with the scientific requirements for addressing the climate challenge. Emissions rose much more quickly in the 2000-2010 period than in any of the preceding decades, while investments have poured into fossil fuel infrastructure at a rate ofmore than $1 trillion per year, complemented by additional hundreds of billions of dollars in fossil fuel subsidies. Expectations for earnest action from our leaders have fallen so far that some observers are relieved to see even nominal attention paid to climate change. A recent joint announcement on climate goalsÂ between the United States and China is a case in point. Under the agreement, the United States would cut greenhouse gas emissions 26 to 28 percent from 2005 levels by the year 2025; this proposal was lauded as a “historic step” and a “game changer.” Few observers pointed out that the United States was actually back-tracking on a target presented by President Obama five years ago in Copenhagen, when he offered a 30 percent cut by 2025. And the Chinese side of the agreement was remarkable for its vagueness, offering to “peak” its carbon dioxide emissions by 2030, without saying what that peak would be. The IPCC has made clear that a climate catastrophe is not inevitable. The world has technological and policy options available at entirely acceptable costs. Time is short, but it has not yet run out. Our leaders and our institutions of global cooperation and governance can yet rise to the challenge. But rise they must, and quickly. It’s a test that world leaders must face head on, immediately. Nuclear modernization programs threaten to create a new arms race. Although the United States and Russia have reduced their arsenal sizes from Cold War heights, the pace of reduction has slowed dramatically in recent years. According to Hans Kristensen of the Federation of American Scientists, “in terms of warhead numbers, the Obama administration so far has cut the least warheads from the stockpile” of any post-Cold War administration. Meanwhile, as they slow the pace of disarmament, the nuclear weapon states have given other strong indications that they are committed to retaining nuclear weapons for the indefinite future. The most worrying evidence of this commitment: huge and expensive programs of nuclear arsenal modernization that all nuclear weapon states are pursuing. These massive modernization efforts undermine the nuclear weapons states’ promise to disarm, a central tenet of the Nuclear Non-Proliferation Treaty (NPT), and they therefore also threaten the global nonproliferation regime. Despite a policy of reducing reliance on nuclear weapons, the United States is engaged in a massive overhaul of its nuclear weapons systems and infrastructure. While the Bulletin supports efforts to keep existing weapons safe and secure, “modernizing” American nuclear weapons systems would fundamentally alter each leg of the US nuclear weapons triad at astronomical cost: some $355 billion over the next decade and $1 trillion or more over 30 years. Russia is also upgrading its triad, and recent Russian statements on nuclear weapons have emphasized the importance of nuclear missions, rather than de-emphasizing them. This is especially true for non-strategic nuclear weapons, which are currently not limited by any arms control agreements. Other nuclear weapon states are also engaged in extremely costly nuclear modernization programs. The United Kingdom has decided to continue supporting its Trident nuclear missile submarine, and FranceÂ is building its own next-generation delivery vehicle, an air-to-ground, nuclear-tipped missile. China is developing a new class of ballistic missile submarine with a new ballistic missile. Meanwhile, countries outside of the Nuclear Non-Proliferation Treaty are also modernizing their nuclear arsenals. India plans to expand its nuclear submarine fleet, with the first submarine undergoing sea trials and the second one in the early stages of construction. It also tested what has been described as a nuclear-capable cruise missile. For its part, Pakistan appears to have commenced operations at its third plutonium production reactor. Perhaps more dangerously, it has developed a new, short-range, nuclear-capable missile called NASR, which has destabilized the already perilous nuclear situation in South Asia. Israel is also reportedly modernizing some of its undeclared nuclear forces, and North Korea continues its nuclear program without any of the restraints previously applied under the NPT. As the world’s nuclear nations engage in sweeping nuclear weapons modernization efforts, the gears in the machinery of nuclear disarmament seem to be grinding to a slow halt. Three and a half years after New START entered into force, Russia reportedly has more warheads deployed than when the treaty became active.Â The United States has also increased its number of deployed warheads in recent months, although the total is still lower than in 2011. These increases in warhead levels are believed to be temporary, and we hope they do not imply a deliberate plan on the part of either country to enlarge its arsenal. Nevertheless, it is disappointing that neither superpower is moving toward the smaller strategic arsenals foreseen by New START with any alacrity. And the other nuclear-armed states are extremely unlikely to reduce their own arsenals until the United States and Russia bring their warhead numbers well below 1,000 each. Arms control experts have long put faith in dialogue to keep the broader US-Russia relationship on an even keel, but these two countries–which own more than 90 percent of the world’s nuclear warheads–cannot seem to agree even to talk. Amid unresolved accusations of violations on both sides of the Intermediate Nuclear Forces Treaty–an important but now threatened bulwark against the reintroduction of medium-range nuclear missiles to Europe–Russia announced it would not attend the 2016 Nuclear Security Summit, matching in some ways President Barack Obama’s 2013 decision to call off a planned summit with Russian President Vladimir Putin. And limitations on non-strategic nuclear weapons seem to be off the discussion table indefinitely. Within the nuclear nonproliferation regime, the failure to organize a conference on a weapons of mass destruction-free zone in the Middle East over the past five years will complicate efforts to make meaningful progress at the 2015 NPT Review Conference to be held this spring in New York. But this will be only the tip of an iceberg of dissatisfaction lurking under the surface of the conference. The nuclear weapon states have largely resisted broad-based efforts by non-weapons states to engage them in discussions on the humanitarian impact of nuclear weapons. The absence of any movement toward ratifying the Comprehensive Test Ban Treaty or negotiating a Fissile Material Cutoff Treaty in Geneva completes the dismal picture of a moribund world disarmament regime. The innovative Nuclear Security Summits have had limited goals and therefore have accomplished little regarding military stockpiles of fissile materials or separated civilian plutonium. At the very least, countries should have been required to disclose the size of their stockpiles. But for all the positive publicity that has surrounded them, the Nuclear Security Summits have produced no binding agreements, and no requirements that countries disclose their nuclear activities. There are far too many nuclear weapons in the world, and world leaders–particularly those in the United States and Russia–have failed to live up to their responsibility to control and reduce the nuclear threat. The leadership failure on nuclear power.Â Nuclear energy provides slightly more than 10 percent of the world’s electricity-generating capacity, without emitting carbon dioxide. Depending on the type of fossil fuel displaced by the electricity nuclear power plants generate (that is, coal or natural gas), nuclear power plants help the world avoid approximately 0.5 gigatons of carbon emissions annually. But the international community has not developed coordinated plans to meet the challenges that nuclear power faces in terms of cost, safety, radioactive waste management, and proliferation risk. Nuclear power is growing sporadically in regions that can afford it, sometimes in countries that do not have adequately independent regulatory systems. Meanwhile, several countries continue to show interest in acquiring technologies for uranium enrichment and spent fuel reprocessing–technologies that can be used to create weapons-grade fissile materials for nuclear weapons. Stockpiles of highly radioactive spent nuclear fuel continue to grow (globally, about 10,000 metric tonnes of heavy metal are produced each year). Spent fuel requires safe geologic disposal over a time scale of hundreds of thousands of years. On Valentine’s Day 2014, the world’s only operating geologic repository for nuclear waste, the Waste Isolation Pilot Plant in southeastern New Mexico, experienced the accidental release of radioactivity to the surface. The accident also exposed workers to very low levels of radiation, and post-facto assessments of how it occurred revealed a poor safety culture within the plant and elsewhere within the nuclear complex. The facility is not expected to resume operations until 2016. The US strategy for handling the waste from defense programs, the dismantling of nuclear weapons, and commercially generated spent nuclear fuel continues to flounder. Large projects–including a nuclear waste vitrification plant at the Hanford Site and a mixed-oxide fuel-fabrication plant at the Savannah River Site–fall ever further behind schedule, and costs continue to mount, with the US Energy Department spending more than $5.5 billion each year on environmental management of legacy nuclear waste from US weapons programs. Thanks to such problems, in the United States and in other countries, nuclear power’s attractiveness as an alternative to fossil fuels will continue to decrease, despite the clear need for carbon-emissions-free energy in the age of climate change. Dealing with emerging technological threats.Â The world’s institutions were proven arthritic during the recent outbreak of Ebola in West Africa. Medical scientists had a good grip on what to do to quell the outbreak of that deadly virus. But social and political institutions stuttered and, at times, failed to respond effectively. In the age of synthetic biology and globalization, world governance must develop ways to react quickly and effectively to confront emerging disease and the possibility of bioterrorism. The Bulletin is concerned about the lag between scientific advances in dual-use technologies and the ability of civil society to control them. The international community needs to strengthen existing institutions that regulate emergent technologies and to create new forums for exploring potential risks and proposing potential controls on those areas of scientific and technological advance that have so far been subject to little if any societal oversight. The threat is serious, the time short.Â The Bulletin of the Atomic Scientists does not move the hands of the Doomsday Clock for light or transient reasons. The clock ticks now at just three minutes to midnight because international leaders are failing to perform their most important duty–ensuring and preserving the health and vitality of human civilization. During the past several years, the Bulletin’s Science and Security Board has grown increasingly concerned as world political leaders dithered, leaving an undeniable threat to the future of mankind–climate change–largely unaddressed. In 2014, leaders in the nuclear weapons countries have consented to a mad dash down an expensive and dangerous path toward “modernizing” their nuclear arsenals; in the process, they turned away from reasonable disarmament efforts and allowed an economic dispute between Ukraine and Russia to turn into an East-West confrontation that hinders cooperation on worldwide nuclear security, arms control, and nonproliferation. Take actions that would cap greenhouse gas emissionsÂ at levels sufficient to keep average global temperature from rising more than 2 degrees Celsius above preindustrial levels. The 2-degree target is consistent with consensus views on climate science and is eminently achievable and economically viable–if national leaders show more interest in protecting their citizens than in serving the economic interests of the fossil fuel industry. Dramatically reduce proposed spending on nuclear weapons modernization programs.Â The United States and Russia have hatched plans to essentially rebuild their entire nuclear triads in coming decades, and other nuclear weapons countries are following suit. The projected costs of these “improvements” to nuclear arsenals are indefensible, and they undermine the global disarmament regime. Re-energize the disarmament process, with a focus on results.Â The United States and Russia, in particular, need to start negotiations on shrinking their strategic and tactical nuclear arsenals. The world can be more secure with much, much smaller nuclear arsenals than now exist–if political leaders are truly interested in protecting their citizens from harm. Deal now with the commercial nuclear waste problem.Â Reasonable people can disagree on whether an expansion of nuclear-powered electricity generation should be a major component of the effort to limit climate change. Regardless of the future course of the worldwide nuclear power industry, there will be a need for safe and secure interim and permanent nuclear waste storage facilities. Create institutions specifically assigned to explore and address potentially catastrophic misuses of new technologies.Â Scientific advance can provide society with great benefits, but the potential for misuse of potent new technologies is real, unless government, scientific, and business leaders take appropriate steps to explore and address possible devastating consequences of those technologies early in their development.